Having offered sanctuary to the soul of the man who stole her brother's body, Vree heads north to Shkoder with two kigh struggling to co-exist in a single body. Although the odds aren't in their favour, there's a chance, a small chance, the Bards can find Gyhard a body of his own without anyone else having to die. 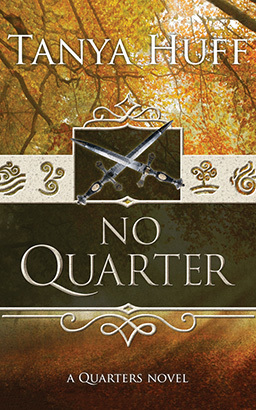 But Vree was an assassin trained to kill on command, Gyhard has chosen to kill again and again on a quest for immortality, and the Bards aren't certain which of them is the more dangerous. No one, from the guard on the Citadel gate to the King himself, wants them anywhere near the single Healer who can Sing the Fifth Kigh. No one except Magda, the Healer, whose heritage has taught her that things are not always as they seem. In the end, Bardic suspicion becomes the least of Vree's problems. The dead walk in the mountains of Shkoder, kigh confined in rotting corpses, and Gyhard's past returned to haunt them. Hunted by the Bards and the Healer's family, Vree, Gyhard and Magda head for the mountains to try and Sing Gyhard's past to rest. To make matter's worse, Vree's brother has yet to forgive her for saving Gyhard's life and is determined to bring Gyhard - and therefore Vree - back to the Empire to pay the price for treason.